Welcome, my dear readers, to my final case study, known as Frankentheory. Shall we begin? As I have discussed in my previous case studies, World of Warcraft (WoW) is a massive, complex, global network composed of nodes functioning on different levels inside and outside of the gamespace. Attention to this Massively Multiplayer Online (MMO) game has been directed towards its ability to offer teachers and students a virtual environment in which to learn, while other studies have looked at MMOs in terms of what observers see as the game’s ability to fulfill player needs (social needs) and side effects (like addiction and escapism). But what are other aspects of the game and gamespace that would be of interest to someone in the field of English Studies? It is with this question that guilds and what is happening amongst their members become of interest. Since WoW’s guilds and their activities have been my focus this semester, I have been looking for a theory that would allow me to better explore guilds and their members’ positions within and outside of (though still related to) the gamespace. However, for each of the theories I have applied so far, they usually do not focus both on what is occurring in the gamespace at large as a network and what nuances are occurring on the local level within the guilds. It tends to be one or the other, especially since the players are heavily dependent on game software and hardware and on communication technology to be part of and help shape the network in which they play. So, what do we do when our theories cannot completely cover our objects of study and have blind spots? Theoretical synthesis, which is better known among my peers as Frankentheory. But how will this Frankentheory help us decide how studying WoW can be useful to English Studies? Networked Individualism and MMOs, But What Could Be Missing? To begin the rise of Frankentheory, I have to start with a strand: Networked Individualism. Rainie and Wellman’s theory looks at how the three revolutions of Social, Internet, and Mobile are reshaping the fabric of social groups, what they call the “social operating system” (6). It is now normal for people to exist outside of close-knit communities and instead primarily operate within a variety of more loosely connected groups, with different groups fulfilling specialized needs that often have nothing to do with proximity. These new social groups, generally mediated by advancing communication technologies, allow people to enter into a number of networks that are more connected and have greater access not only to information but also to virtual spaces in which they can create and share media of their own. People become the nodes of the network, constantly exchanging information with one another: “When people walk down the street texting on their phones, they are obviously communicating. Yet things are different now. In incorporating gadgets into their lives, people have changed the ways they interact with each other. They have become networked as individuals, rather than embedded in groups. In the world of networked individuals, it is the person who is the focus: not the family, not the work unit, not the neighborhood, and not the social group” (Rainie and Wellman 6). In the changing landscape of social relationships that Rainie and Wellman find is occurring as more people are turning towards their communication devices (cell phones, tablets, computers) to center their everyday communications, information gathering and producing, and their relationships within a group, online games have become part of the “new neighborhoods” that are popping up as the social operating system shifts gears towards networked individuals rather than physical communities of people (13). People as nodes in the network. Image hosted on VectorStock. For gamers, this reshaping of the social operating system allows them to craft social groups for themselves (inside and outside of the game) that fulfill needs prompted by their experiences within the gamespace and, more specifically, by being members of the same guild. There is no longer the need to play games with the people who are physically close (though that does still occur) as players can now log on to servers with others from around the country or around the world, creating communities of people who may only ever meet through text chat, in-game voice chat, discussion forums, Facebook, YouTube, and Skype. Here, we have groups of people whose main connection is their interest in a computer game, though they may have other interests, characteristics, and connections that could then bind them closer together during their interactions in the game, but this depends on how much information they are willing to provide and how closely they bond with their teammates. To be in an active member of the gamespace (as opposed to a casual gamer) and to be an active member of a guild, takes work and effort, just as it does to be part of any virtual group (Rainie and Wellman 9). There is no physical presence to say “I’m here,” so the player must renew his/her account, take time to level up, and take time to talk and quest with guild members. The gamespace and the guilds let these players from all different backgrounds come together for a few hours or so a day to engage in group raids or role-playing scenarios, to talk with others who share common interests that extend beyond their daily physical lives, and to play specialized roles in a group (which is another point Rainie and Wellman point out that is happening to networked individuals). PC Gamer’s WoW Guild. Image hosted on PC Gamer. WoW brings together gamers from all walks of life around the world and gives them common ground, with fan culture emerging. Image hosted on website Intense Gamers. Rainie and Wellman’s theory acknowledges that communication technologies and people’s desires to be continuously connected are reshaping the ways in which we interact with one another and how we (re)align with social groups. By looking at the form and function of this new social operating system, application of this theory takes a look at the fabric of guild members’ interactions with one another in-game and how they keep connected even when they are outside of the game. Questions can be raised about players’ empowerment within new social, virtual dynamics as they access a wide variety of resources: Since WoW players do have access to many more resources than those found within the gamespace (official and unofficial forums, guild websites, YouTube, Twitter, Facebook, guild ranking websites, and Wiki pages for the game), how does this empower players as players in the gamespace but also as members in their guild? Players are, essentially, not alone in the challenges they face in raids, on quests, and within social guild dynamics the way they would be if communication technology was not as far along as it is, but how does a player harnessing the “information at his/her fingertips” change the dynamics of the group? If the players are nodes in various networks and WoW and their guilds are only a small part of the network that the players themselves have become, where and how do players gain their agency? Within the scope of Networked Individualism, players gain agency by doing something with all of the information accessible through their devices and making the effort to be part of the groups they have joined. Just like within physically close-knit communities, players have to reach out and engage one another, because if they do not, they will eventually lose their places within the group, even more so than if they were dealing with their teammates in person. Let’s take an example, for a guild member, there can be several forms of the group within which to stay active and to have agency. By having an interest in WoW and signing up to play, the player is taking the first step and putting in the initial effort that will lead to guild membership. The player then has options: he/she can just play the game and either stumble upon or be recruited into a guild he/she comes into contact with over the course of gameplay, or the player can look through guild rankings, explore guild websites and forums, and talk to other players about guilds and potentially joining. There are options as to how a player chooses to operate within the gamespace network and how much agency he/she takes for him/herself. 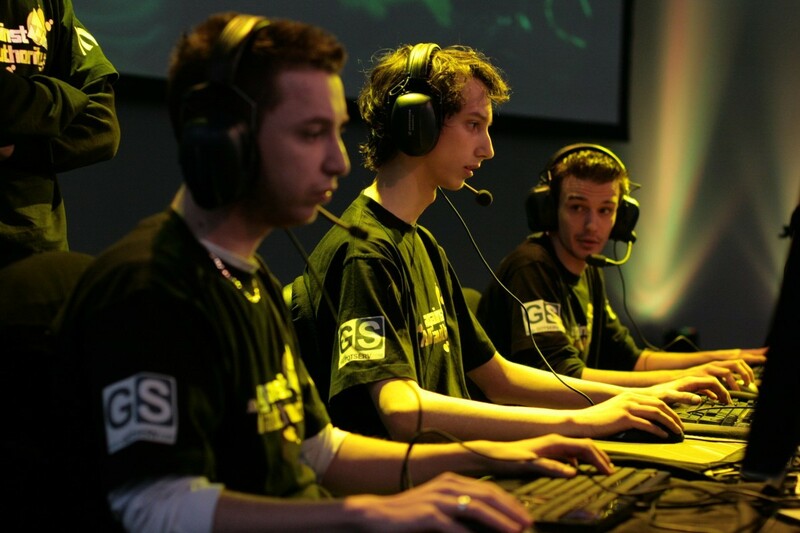 Once a player has joined a guild, a new set of social dynamics occurs that does not usually happen for a player going solo through the gamespace. Most guilds set up a mentor-mentee relationship among new and veteran players in order to ease the new players into the game, into how the guild works socially, and also to train them for the specialized they will take on during quests and raids. This new player again has options to how much agency he/she has within this guild. The player can research his/her role, profession, and class in order to better acquaint him/herself with his/her character’s potential but also to become a more effective teammate. A player who does not know how to do something like add-ons for battles has a steeper learning curve than someone who actively sought out the knowledge and used his/her place in the network to better understand the gamespace and his/her group. Information is out there, across a multitude of websites, discussion posts, and player-player interaction. This sounds like a great theory for looking at guild members playing in World of Warcraft as we are looking at players not just as nodes, but as focal points of networks themselves. By being a node in many loosely connected networks, the players become networks in themselves and has agency in how he/she uses that connectivity. So what could be missing from this theory? While Rainie and Wellman’s theory of Networked Individualism looks at the ways in which communication technologies are allowing people to reshape their social communities (branching away from solely functioning within local groups to take part in a variety of networks in which they often play specialized roles), Actor-Network-Theory fills in the gaps of Networked Individualism in that it allows the very non-human entities of hardware and software being used by people to have just as much agency as the people themselves. For my study, this applies to the hardware and software guild members use and interact with when playing WoW. The programming code that makes everything work is not pushed off to the side; it is allowed into the discourse, becoming a major (and acknowledged) part of the network. With ANT, the actors are the nodes, but who are the actors? Gamers, of course, are on the list of actors, but so are representations of the code through non-playable characters (NPCs), loot from raids, quests logs, monsters, characters’ pets, parts of the environment, and other objects that can be handled in the game. But our list is still incomplete. We have to step outside of the game and look at what allows gamers to actually play: keyboards, CPUs with monitors or laptops, mouse, and headphones, as well as additional technologies that can now be used to access the game (thank you, add-ons from Blizzard) like cellphones. In Networked Individualism, the emphasis is on people using these technologies, but with ANT, the technologies are just as important as mediators as other people. By linking ANT to Networked Individualism, we are broadening out the scope of who/what should be studied when looking at WoW. So, is this a more complete list? Sort of. Guild activities do not only take place in the gamespace, but outside of it as well in forums, through software like Google Hangouts and Skype, through social media like Facebook, and through unofficial game websites. There could be other actors involved, especially if the guild members know each other in person, but this will be okay for now as our list is more robust than simply just listing humans. This is what a WoW ANT network for a guild would like. Now that we have our larger (if not totally exhaustive list) and our handy-dandy new mental image, we must deal with a new way of conceiving how the nodes in our guild network have agency and are situated within the network. Why would I choose to list these actors? According to Latour, “If we stick to our decision to start from the controversies about actors and agencies, then any thing that does modify a state of affairs by making a difference is an actor– or, if it has no figuration yet, an actant. Thus, the questions to ask about any agent are simply the following: Does it make a difference in the course of some other agent’s action or not? Is there some trial that allows someone to detect this difference?” (71). Let’s see if we can tease out how this works within an MMORPG in a way that Networked Individualism Theory cannot. What do all of these actors even do for the network? The gamers, their hardware, and the game’s software have one major collective goal. 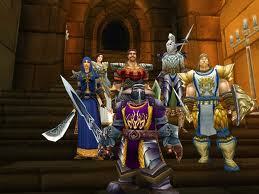 They are all working towards the creation and maintenance of the gameworld in which the guild exists. Sounds odd that gamers are part of this, doesn’t it? But, that’s how games work. The developers design the code that then puts the gameworld into existence on the chosen platform(s) players will then access through their chosen hardware. If the gamers choose not to play, eventually the designers will have to shut the game down or the game remains in its plastic casing on a shelf. In order for the gameworld to be activated and maintained, it needs someone to be playing. But if the designers do not actively work to maintain their game and add new content, players will have no incentive to spend their money and continue populating the gamespace. A great deal of effort needs to be expended on both sides if this gamespace network is to remain active and be successful. But, we need to narrow this down further. Our target network is not the game as a whole, but individual guilds. What gamers, the software, and the hardware do for the game at large works the same way for the guild on a more microscopic level. The guild’s boundaries must be defined and redefined constantly (which aligns with Rainie and Wellman’s discussion of the effort it takes to keep in touch with the various networks people engage in), which Latour mentions when discussing the creation and maintenance of groups: “all need some people defining who they are, what they should be, what they have been. These are constantly at work, justifying the group’s existence, invoking rules and precedents and, as we shall see, measuring up one definition against all others. Groups are not silent things, but rather the provisional product of a constant uproar made by the millions of contradictory voices about what is a group and who pertains to what” (31). In this sense, the guild is a network node inside a much larger, far more extensive network. And, the gamers, who would have been just one node among (literally) millions of other player nodes, and those are just talking about the human elements of the game. What being part of a guild does then is offer players greater agency in their own gameplay experience of WoW by making them a node in a network that is comprised of a more manageable (usually) number of human players. What Ant can do that Networked Individualism cannot is allow me to follow the threads (or trace the associations) of players’ activities through the technology they are using and with one another to define what a guild is within and outside of the gamespace. What do players do with the technology of the game, their own hardware, and other communication devices, as well as resources found on the internet, to maintain the guild as a group? This complements Networked Individualism because it is adding in and granting agency to the non-human entities that help networked people to network. Actor Network Theory and Networked Individualism are similar in that they are looking at society with technology in mind: ANT as humans and non-human actants working together to create the boundaries and maintain the group (guild, in this case), and Networked Individualism as people (gamers) using technology to create diverse and yet loosely collected social groups that fulfill needs that traditional social groups (those once limited more so by proximity) cannot. For both of these theories, technology and the social are focal points in the sense that they are looking at how actors (human and non-human, though the agency is emphasized differently between the theories) are working together. But what does Networked Individualism do/offer for ANT in regards to WoW and guilds? If the two strands are going to come together, they must each offer something to the other. Actor Network Theory takes a pretty broad view of human and non-human actors working together to define what is social (and, in this case, what is a guild). Networked Individualism narrows this focus to the needs being met for or sought by the humans within these social networks, and how these humans are using communication technology that is in turn reshaping how they interact with one another. ANT brings technology as an actant into the discourse, while Networked Individualism provides a framework for what people are doing within social groups and how they are defining the groups of which they are members. For my case study on WoW, these two theories combined will give me a macro and micro view of technology at play alongside humans, ensuring that the communication technology and game software are receiving as much attention and agency in developing and maintaining the networks within which the humans (physically, in some senses, and through their avatars) are operating. Friends until the technological end: ANT & Networked Individualism. Image hosted on We Know Memes. If ANT can give us a macrolevel view of how groups (in this case, guilds) are expending effort to define and redefine their boundaries in order to remain a group, and Networked Individualism is looking at how people are changing their relationships with one another by using communication technologies to have membership in different guilds that are not usually defined by physical proximity, we are still missing something.What is moving between these nodes (both human and non-human)? Rhetorical Situation Theory adds to the discourse between ANT and Networked Individualism because rhetoric is moving through the networks being defined by the human and non-human actors and shaping the kinds of experiences being had by the guild members using the technology. In a gamespace, codes in the forms of zeroes and ones are the not the only things moving within a network. In a guild, code helps to relay the rhetoric moving between players during situations (both formal, such as raid planning, and informal, such as conversations between players about the dividing up of loot). By threading Rhetorical Situation Theory in with ANT and Networked Individualism, we can explore how players in the guild are using rhetoric to define the boundaries of the group, while at the same time, the hardware, software, and players are working together simultaneously within a network defined by the relay of code and commands. Rhetorical Situation Theory may seem to be the odd theory as it looks mainly at humans and human activity, but rhetoric is something being passed within a Networked Society (such as when networked individuals create content on the internet, read news articles, or communicate with friends and family) and may be part of the associations that ANT researchers trace through actors as defining and maintaining a group (such as the activities taking place within a labor union). All three of these theories are about the social (however each defines it) and about what happens within that social (to different degrees and outlooks). WoW may be an online game, but what is occurring between people, especially guild members, is what is happening among other networked societies. People still have to deal with one another, even if it is at a distance through technology with avatars in the place of human faces. By adding Rhetorical Situation Theory into the mixture, we are filling in the microlevel relay that is happening between the various nodes across the different servers that compose the WoW gamespace. ANT diverges away from theories like Rhetorical Situation Theory because it complicates how we see interactions in a network, which is something we need now that people are producing rhetorical discourse in non-traditional spaces between people who are, often, only loosely connected to each other about social dynamics that are happening even during gameplay. So, what exactly can be moving through a guild network when we must take into account the software and hardware? How does it move among the different nodes? One of the major things moving through the network is code, zeroes and ones that render the visuals, relay information about characters’ statuses, allow for environmental sounds and pre-established soundtrack selections, and initiate reactions from the environment, NPCs, and monsters in which the guild members interact. There are also the zeroes and ones that allow players to have their avatars do physical gestures towards one another and allow relay their textual conversations. But, that’s not all. The hardware players may opt to use like headphones and mics allow for verbal communications. Rhetorical discourse may be part of what is being conveyed, but, in this more inclusive list of network nodes, the code is central to all transmissions. Who/what are the mediators and what are the intermediaries making all of this possible? “Every time a connection has to be established, a new conduit has to be laid down and some new type of entity has to be transported through it. What circulates, so to speak, ‘inside’ the conduits are the very acts of giving something a dimension. Whenever a locus wishes to act on another locus, it has to go through some medium, transporting something all the way; to go on acting, it has to maintain some sort of more or less durable connection. Conversely, every locus is now the target of many such activities, the crossroads of many such tracks, the provisional repository of many such vehicles. Sites, now transformed into actor-networks for good, are moved to the background; connectors, vehicles, and attachments are brought into the foreground” (Latour 220). We are looking to ANT to understand how guild members are using the technology but also how the technology is taking an active role in transforming actors who come into contact with the code (through visual representations) and through the rhetorical discourse that is being relayed through the code. So, let’s talk Rhetorical Situations (myth or otherwise) and the discourse initiated in those moments by guild members acting as rhetors. Within WoW, Rhetoric is everywhere as players move as network nodes between interactions, joining and leaving guilds as well as joining and leaving raiding parties. Within guilds, players must convince one another of battle strategies as raids can often be difficult undertakings, requiring hours of planning and hours of execution, sometimes with little success; in player-player conflicts, with some players defending themselves and their potential virtual property against other players; when player-player conflicts cannot be resolved, there are ruptures within guilds, leading to the creation of separate guilds; and within the creation of new guilds, the recruitment of players into the guilds, especially when the gamer is new to the server or has been relatively isolated prior to creating a guild charter. Guild social dynamics are essentially playing out in a microcosm of social and political (usually within the guild, not in the gamespace at large) tensions, mediated through character avatars over Voice over Internet Protocol (VoIP) and textual messages. But rhetorical situations do not only occur in-game for guilds, but also outside of games: in forums (official and unofficial), on guild websites, through YouTube videos, and in personal communications. Much of this discourse is written by guild members for guild members, creating a circular audience, though gamers outside of the guild and even non-players (depending on the medium) can have access to out-of-game texts about in-game activities. So, through Networked Individualism, if players gain agency by accessing information and creating media in order to make their presence known in the networked social groups they have joined, rhetorical discourse is what those players are creating and using the technology (ANT) to relay. Rhetorical discourse always has a human agent, what Bitzer calls “mediators of change”: “Rhetorical discourse produces changes by influencing the decision and action of persons who function as mediators of change” (7). Biesecker mentions that, for Bitzer and his Rhetorical Situation, rhetoric is the name given to “those utterances which serve as instruments for adjusting thè environment in accordance to thè interests of its inhabitants,” which occur in response to some event that “invites utterance” (113). Agency is taken by those who are willing to take charge and produce rhetorical discourse as a situation arises, and then agency is taken by others who hear this rhetorical discourse and do something with it, whether it is to add to what they have heard or in resistance to it as new situations arise and call for rhetorical discourse. This raises the questions of who would constitute the rhetors, the mediators of change, and the audience of those moments of discourse? The answer to these questions will always be guild members, but there are different kinds of guild members. There are differences between guild officers, raid leaders, guild leader, power players versus non-power players, and veteran players versus rookie players. The differences in-game are not based on outside elements like age, profession, race, financial status, or social class, but are based on experience and skill in-game. While the ideal is that every member of the group be given fair and equal treatment within the guild, there are often moments where players’ agency depends on their perceived level of commitment to the group and what level of guild hierarchy they have reached. It all depends on the rules established by the guild for how the guild operates in gameplay. And, by thinking about rhetoric as a way for speakers and potential mediators of change to adjust their environments to better align with their interests, this would (ideally) allow guild leaders to work within rhetorical situations (such as raid strategizing, conflicts between players over loot, other leadership roles) as they emerge to strengthen the group’s cohesiveness. Members who are active within the group’s activities are the mediators of change who will take what the guild leader says and apply it to the communal experiences within the game. If a guild leader is not successful at managing the rhetorical discourse happening within the group, then members of the group tend to splinter off to create new guilds in the hopes that someone else as guild leader may provide better group environments. The guild leader is not alone in managing the quality of the group’s interactions (as this is based on voluntary membership), but the guild leader is the rhetor in the group, one whose opinions hold the most weight in taking charge and offering solutions to problems. A guild leader who cannot successfully navigate situations that call for rhetorical discourse cause players to lose faith and find or found a new group. Vatz complicates Bitzer’s idea of agency for rhetors, putting more responsibility on the speaker and the moments in which the speaker decides to speak. The speaker, essentially, privileges the moments and subjects within, and chooses to discard or ignore others: “This very choice of what facts or events are relevant is a matter of pure arbitration. Once the choice is communicated, the event is imbued with salience, or what Haim Perelman calls ‘presence,’ when describing this phenomenon from the framework of argumentation” (Vatz 157). For Vatz, it is not solely that situations call for rhetoric, but that rhetoric can shape and define the character of a situation when the speaker chooses to give meaning to that situation and the rhetorical discourse happening within it. This is where the author/speaker of the rhetor gains agency, by being the person who takes the information selected for the situation and gives it meaning, especially since audience members only see an event as “meaningful only through their linguistic depictions” (Vatz 157). In this theory, agency is granted to the guild leader when he or she chooses moments in which he or she deems suitable or necessary for rhetorical discourse. This would be a guild leader finding “the right moment” to address something like player-player conflicts so as to manage the problem before it gets out of control, rather than just waiting for problems to arise and then speaking about it. There are dangers to this for the guild leader who is not at least semi-conscious about what he or she is privileging, what moments are deemed best (or better timed) and what rhetorical discourse is produced (what information is given meaning). This sense of agency for the guild leader allows him or her to establish the level of quality of the team’s work and play during raids and just as a cohesive (or otherwise) group. From the angle of rhetorical discourse, what is moving through the network are the rules and guidelines that the members are continually establishing and putting into effect (or neglecting) for the experience they are seeking as a collective. Vatz states, “To the audience, events become meaningful only through their linguistic depiction” (157). Guild members could play the game alone (whether that gameplay would be successful or not would be another story), but it is the rhetorical exchange that underlies the guild activities that gives the events meaning for the players. A raid would be just hack-and-slash and magic-casting except that the players are using language to persuade themselves and each other that this raid, this dungeon, this boss fight means something for all of them. The raid leader may need to persuade others that a certain strategy is the correct one, but that explanation and the resulting discourse makes it a lived experience. Even a breakdown in communication or a consistent lack of quality guild management is a rhetorical discourse that can lead players to become mediators of change through guild dissolution. Rhetorical discourse is necessary for the networked individuals to stay together as a group, but they are the ones who must harness the technology and that which it affords them and actively work to maintain their boundaries. Rhetorical Situation Theory and the discourse that happens within those moments also draw attention to the networked individuals and their places within groups, drawing attention to the changes in the social landscape (social operating system) because players are aware that are meeting in non-traditional spaces and forming groups with people they would never have interacted with had the game not provided such a social space. For gamers, though, this rhetorical discourse also (often) acknowledges the technology that they are using, makings its agency and effect upon them part of their discourse. So, why is studying World of Warcraft useful to English Studies? 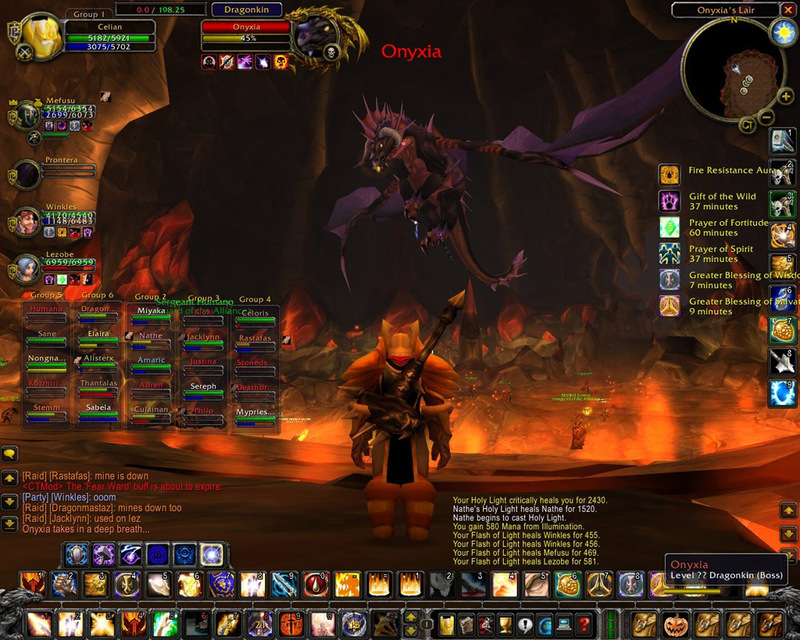 Outside of pedagogy and player habits, MMOs like World of Warcraft are useful to the field of English Studies because it is, as Rainie and Wellman would say, a “new neighborhood” in the social operating system that is emerging through advancements in communication technologies and people’s reliance and implementation of those technologies. Within the gamespace and outside of it, guild members are employing rhetorical discourse to define their roles within their groups but also to define the boundaries of those groups. By studying WoW and games like it, and by studying how gamers are using the space and interactions with one another to fulfill social needs that had been filled (and are still being filled) by traditional groups, we can understand how the reshaping of our society around our virtual presences is granting us new avenues to gain agency. We are not just members of groups now, but nodes in a variety of networks, and we rely on technology to make ourselves present within those groups, reach out to new groups, and how to access and create media that engage us in the world at large. By crafting a Frankentheory from Actor-Network-Theory, Networked Individualism, and Rhetorical Situation Theory, we can start to understand how online gamespaces afford their players with spaces in which a microcosm of social dynamics can play out, but can be more inclusive in the study by understanding how technology acts upon us and changes our discourse as much as we act upon it and can change its code. For these networked societies and as networked individuals, we need the technology in order to have agency in the new landscape, and English Studies can benefit from taking the time to explore how rhetoric and interactions among people are adapting to the needs and demands being placed upon us by one another as start to navigate a more virtual society. Latour, Bruno. Reassembling the Social: An Introduction to Actor-Network-Theory. New York: Oxford University Press, 2005. Print. Raine, Lee and Barry Wellman. Networked: The New Social Operating System. Cambridge, MA: MIT Press, 2012. PDF. Bowing out or sinking down? Dean from Supernatural does it best.